If scrapbooking is already your favorite way to organize your photos in an album, you know how fun and addicting it can be! If this is your first time... be prepared for fun! It is not only an enjoyable hobby; it is an effective way to preserve your precious photos. On this site you will find everything from page ideas & themes to layout designs & fonts to tools you can use to make your pages look perfect! You will even be able to find information about how to get started with a digital album, including which software is right for you. Please use the buttons on your left to explore and learn all about creative & practical ways to display and keep your photos safe for generations to come. Start your Scrapbooking Adventure! Get beginner scrapbooking tips & techniques and find out about the scrapbook tools available to make your adventure fun while creating an album worth showing off! Few things are more exciting to scrapbook about than a new baby. Come and find ideas for scrapbooking your baby, including baby scrapbooking pages, sayings, embellishments and more! Preserve and cherish your wedding for many anniversaries to come with these wedding scrapbook page ideas. Don't leave your vacation, stay forever! Find vacation scrapbook layouts and ideas to display and perserve your vacation photos! Find scrapbooking sports layouts and ideas that highlight your all-star player! Do you enjoy cookbooks? Why not try scrapbooking a cookbook? Find ideas and supplies for your personal cookbook. Do you enjoy quilting just as much as scrapbooking? Why not join the two?! Find scrapbooking page ideas and supplies for your Scrapbook Quilting Journal. Take your scrapbooking hobby to the next level! Take note of the digital scrapbooking instructions and get started today. How did they do that? Find scrapbooking tips & techniques to add pazazz to your scrapbook pages. Create a stunning and spectacular generations scrapbook album that not only showcase your favorite family photos, but also document your family ancestry and heritage! A few of your favorite things...in one scrapbook album! Use these scrapbooking page ideas to create a "Favorites Album"
Find ideas to fill your school memories scrapbook here! 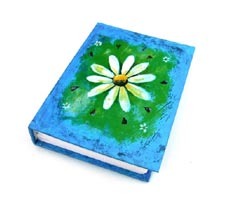 Sign up here for our scrapbooking e-zine, <i>My Scraps</i>! Find great deals on scrapbooking supplies! Find product reviews and descriptions of those scrapbooking tools you want! Would you like to share your knowledge about scrapbooking? Great, find out how you can submit your story or tip here.